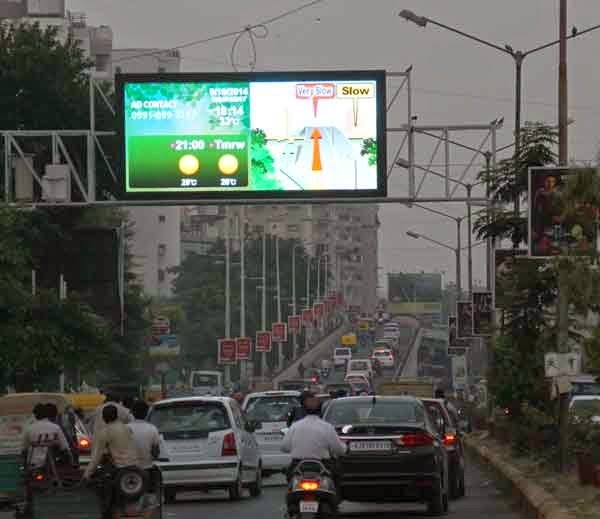 Intelligent Traffic Control System........Now in Ahmedabad......For the first time in India.......!!!! 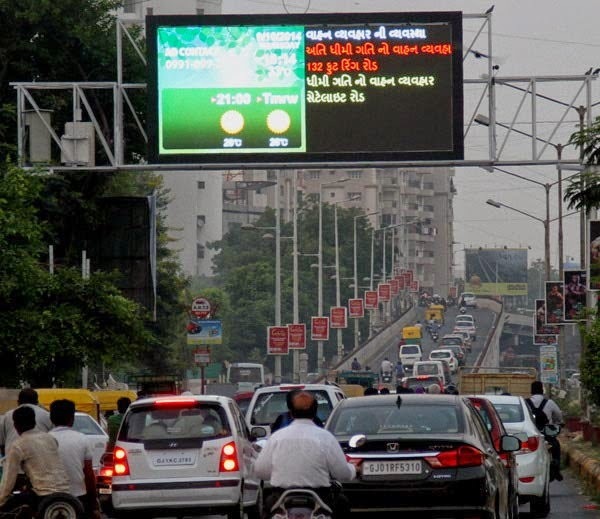 Ahmedabad is the first city in India to introduce Intelligent Traffic Control System. It will show which road is having traffic jam and which road is open, etc. type of data on a VMC board. 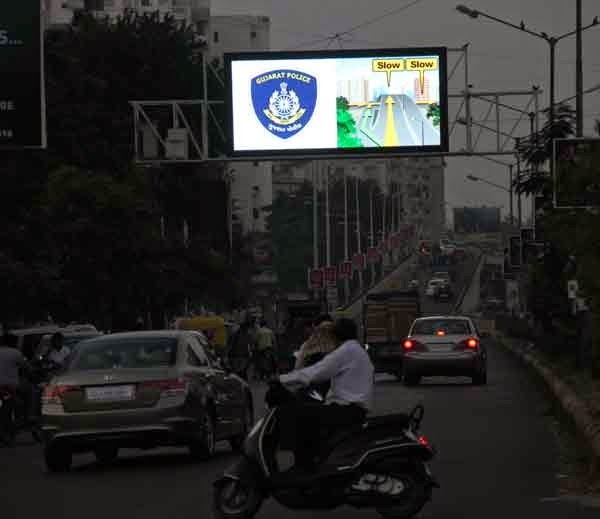 On collaboration of Japan's Zero-Sum Company with Ahmedabad Municipal Corporation this Intelligent Traffic Control System has been launched. The company will also implement this project in the cities like Surat, Vadodara and Rajkot too. Cikara kikucie, MD of Zero-Sum Company stated that under this project round about 10 km from APMC Market to IIM Ahmedabad there are 14 cameras based sensors and 4 VMC board have been placed. Vehicle driver can easily see that which road is open and which road is having traffic from the VMC board and can easily make decisions on its own. This system is powered by a cloud based system and hence in coming years it can be also used in smartphones too. Traffic police will be able to get the information using a tablet and will be able to take decisions about where to divert the traffic. I have visited London several times, and I am impressed with the way traffic management companies helps in traffic control and makes it sure that there will be no big jams on the road.